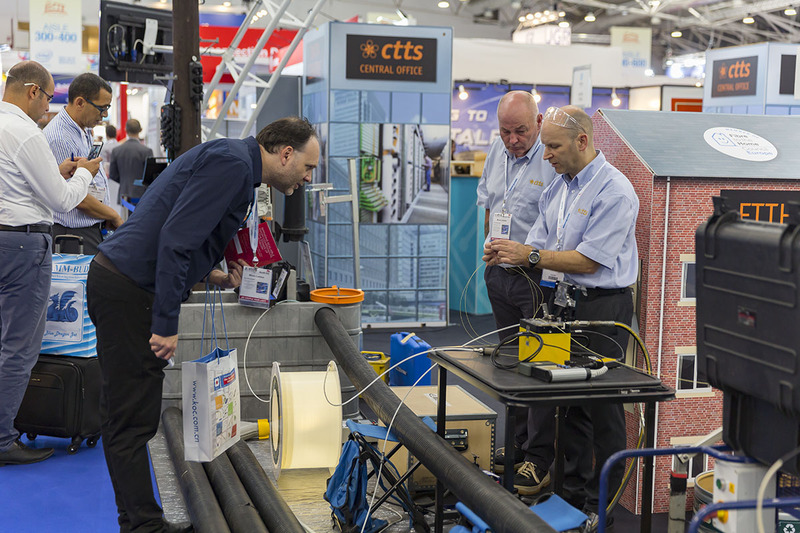 Created in association with CTTS Training, the FTTx Centre showcases a range of fibre-related products in a specially-designed feature area within the exhibition hall, along with live interactive demonstrations of OSP and ISP systems and deployment methods. 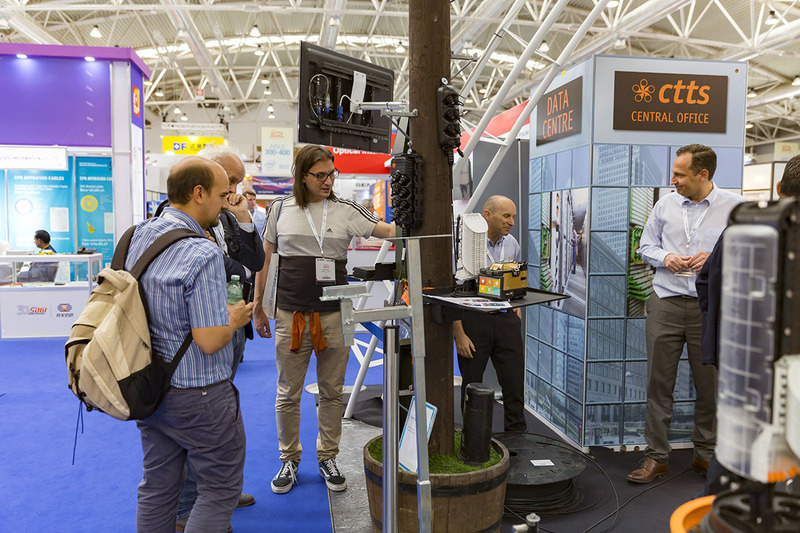 The FTTx Centre takes up 225 square meters of space, making this the largest single area on the exhibition floor. 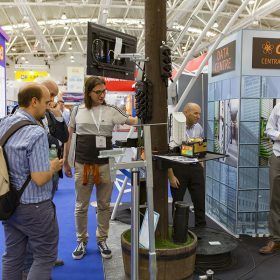 Split into 11 individual zones, each focusing on a specific area of fibre to the home deployment, the centre provides a common meeting place for all attendees with an interest in this particular field. 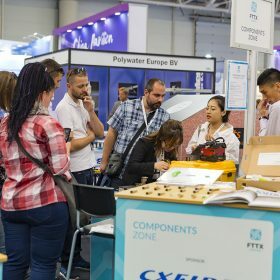 Exhibitors at ECOC Exhibition 2019, can display your FTTx products in one of the eleven FTTx zones, free of charge. 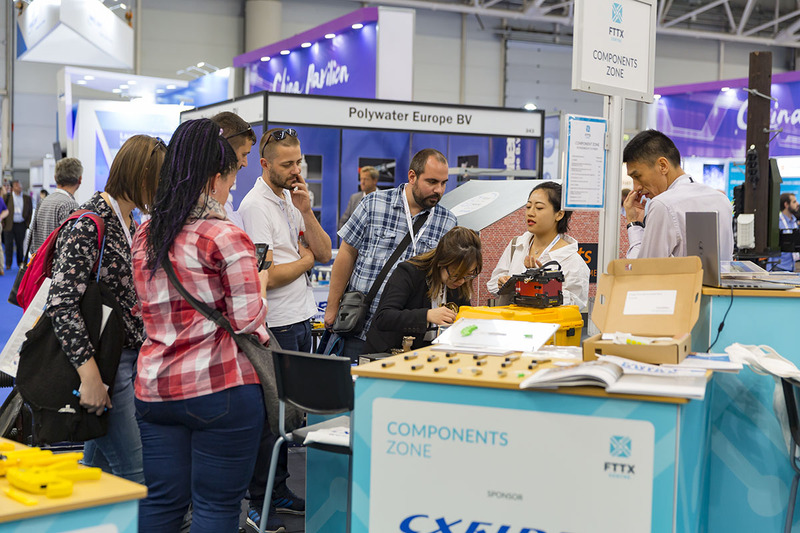 If you have a new or existing product you wish to feature in the FTTx Centre, please download an entry form below and return it to Michelle.Dampier@nexusmediaevents.com. 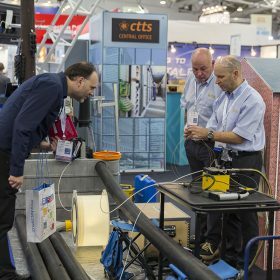 Watch live demonstrations including Air Blown Fibre Technology and Gigabit Ethernet Passive Optical Network (GEPON), fibre blowing, microduct calibration and testing, fibre splicing and activation testing, as well as explanation and demonstration of key ISP and OSP equipment deployed in the modern FTTH networks. 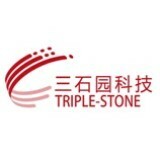 Triple Stone, the leader of miniaturized fiber-optic devices, with 10⁵ class ultra clean work shop, 1800 ㎡ facilities, a team of more than 20 years’ experiences on design and production of mini fiber optic passive devices and hybrid components, Triple-Stone has served for more than 160 clients across the globe. 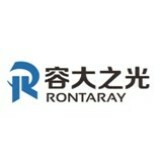 Established in 2018 with a registered capital of 10 million yuan. the branch is located in Dongguan city, Guangdong province.The company has passed the quality system ISO9001, communication products TLC certification, the United States standard UL and the European Union standard CRP and environmental ROHS certification. 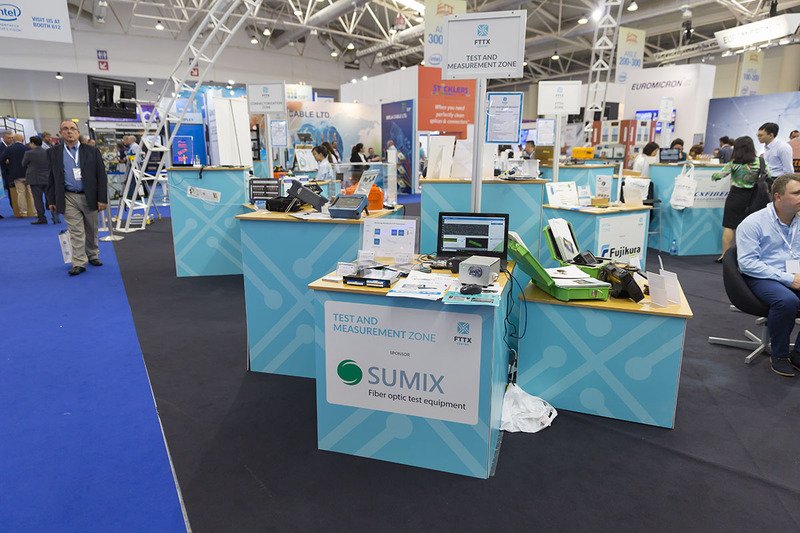 Dedicated on manufacturing optical communication products, owned product lines of ceramic ferrule and optical fiber connector with annual capacity of 0.15 billion and 25 million and full series of optical fiber cabling system. 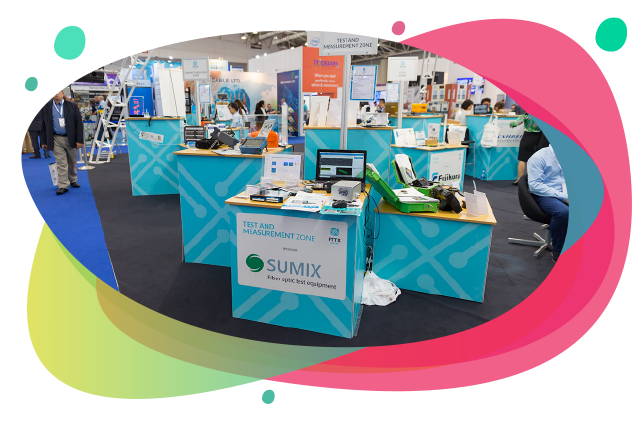 We are committed to satisfy the global customers by optical communication products, and provide the services of product research, assembly, technology support. 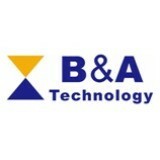 B&A is a designer and manufacturer of EDFA and Sub-system located in Shanghai, China. EDFAs, EYDFAs, HPONs, Transmitters and Optical modules can be provided in mass quantity with reliable quality control. 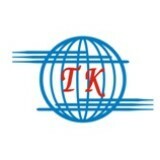 Online operating equipments are more than 800,000 sets. Partners are worldwide, including top 5 ICT Solution providers and carriers. 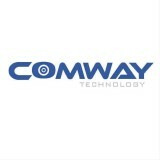 COMWAY TECHNOLOGY LLC focus on design and manufacture fiber optical products and provide fiber solutions to clients. 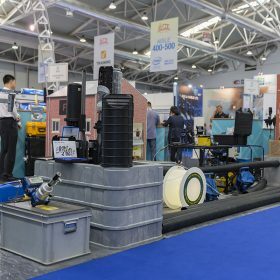 Our partner Hong Kong Honserv Limited is a professional international sales company for telecom equipments, the sole agent for COMWAY , also supply many brands fiber optical products in competitive price. 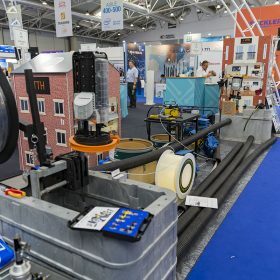 A high quality fiber optic installation starts with clean connectors, giving you faster transmission rates, higher bandwidth and maintenance-free operation. 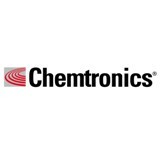 FOCCUS™ brand products from Chemtronics give you the tools you need to quickly clean connectors and ports. The CCT™ (Clean Connection Tool™) and the proprietary Combination Cleaning™ process give you clean connections the first time, every time. 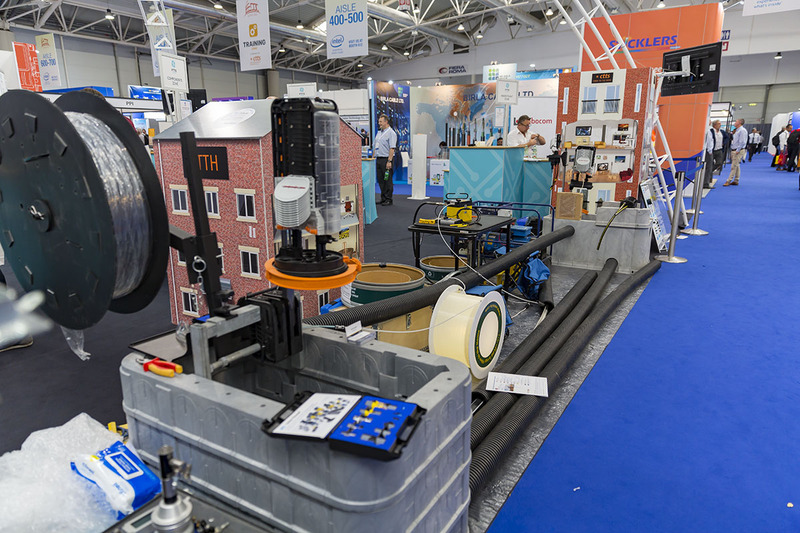 Fujikura is one of the world's leading manufacturers of fibre optic cables and equipment for installation, measurement and testing. 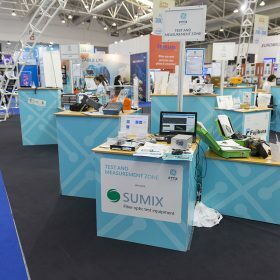 The Fujikura name has become synonymous with fibre optic fusion splicers and the company has become the world's leading supplier to telecommunication companies around the globe. 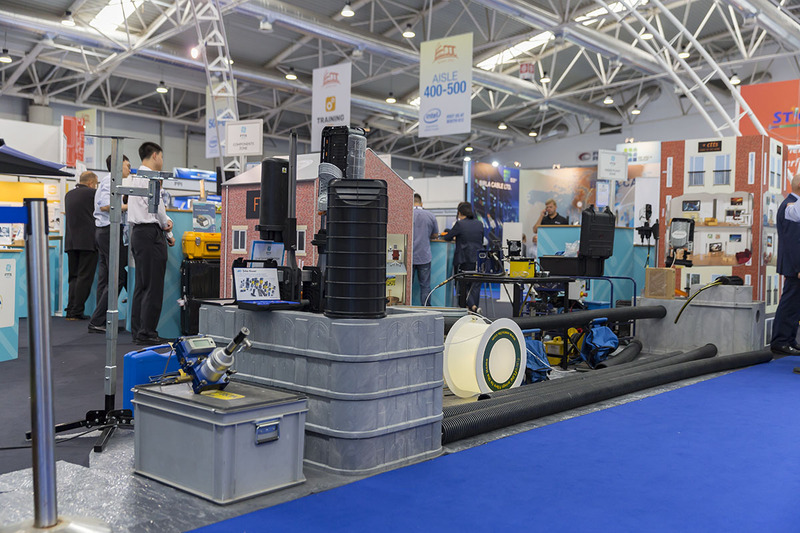 Fujikura has been represented in Europe for over 30 years, and in 1988 established Fujikura Europe Ltd as a European base of operations in South West London. 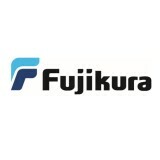 Fujikura Europe has grown considerably in the last ten years and now occupies a 14,000 sq. ft site in Chessington, Surrey which houses the company's European sales administrative offices, technical support centre and service repair workshops.